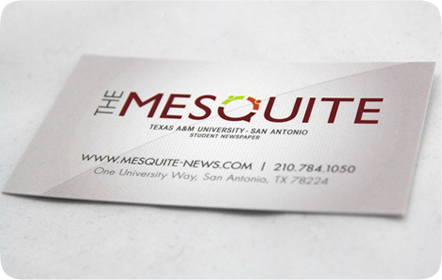 The Mesquite, the student newspaper for Texas A&M University San Antonio, provides the latest news of both the university campus and the San Antonio community. 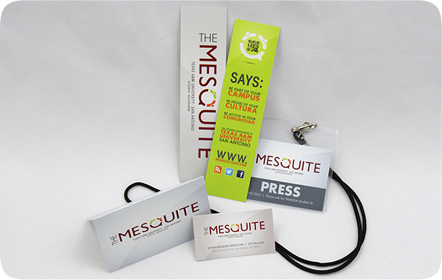 With the support of the School of Arts and Sciences, The Mesquite challenges, prepares and empowers students by providing lasting pieces that will help them beyond their college years. 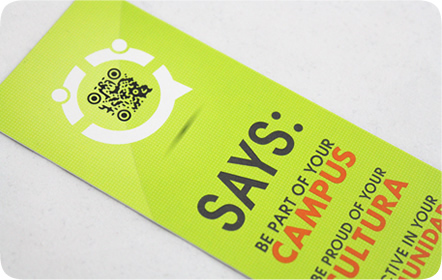 Various print pieces designed by us ensure that their presence is well-known and recognizable to anyone seeing the students or keeping in touch with the online newspaper. 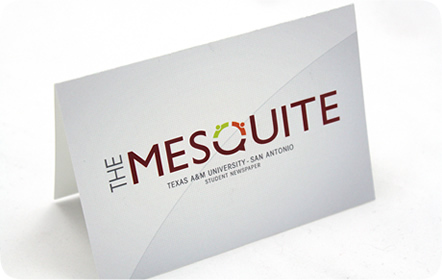 For all of our pieces, we used slick grayscale gradients to let The Mesquite’s logo stand out and be the focus of each piece. 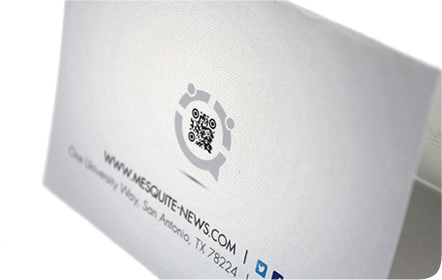 We wanted to let everyone know who The Mesquite was by letting the logo and the name of the newspaper speak for itself. 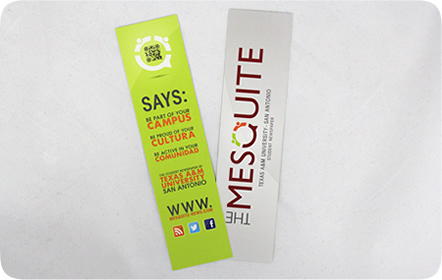 The bookmark allowed us to our new tagline, “Your Campus, Your Cultura, Your Comunidad,” to further push their presence and connection with the students on campus and the people of San Antonio. 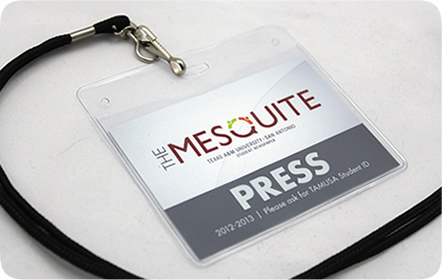 The Mesquite now stands as one of the most professional-looking online newspapers with a complete online and offline presence thanks to our branding and print designs.